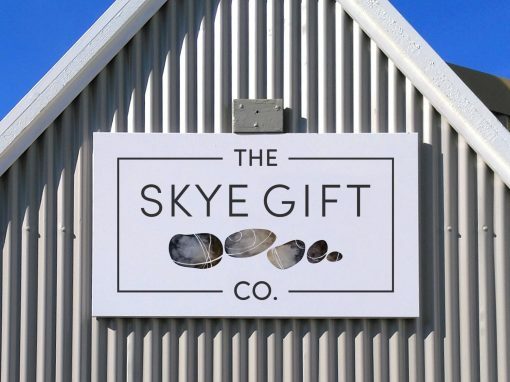 Camping Skye is a beautiful new campsite (opened June 2018) in a peaceful woodland setting on the outskirts of Broadford village. 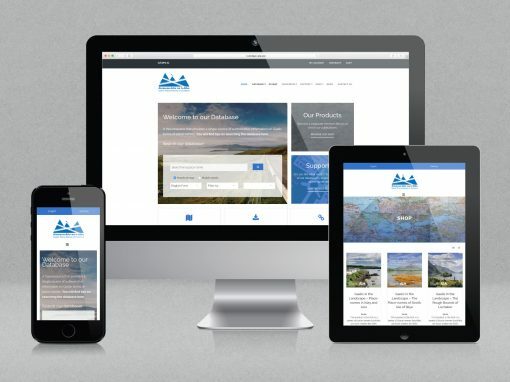 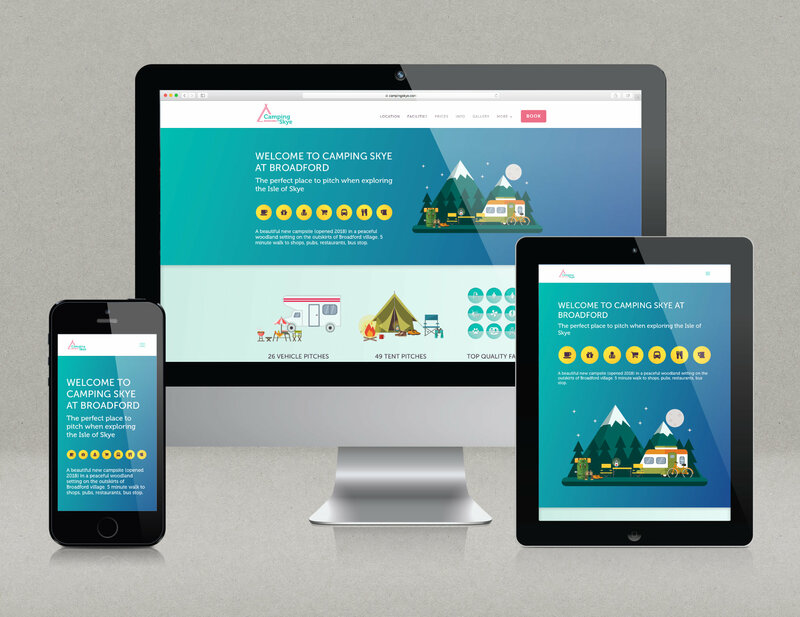 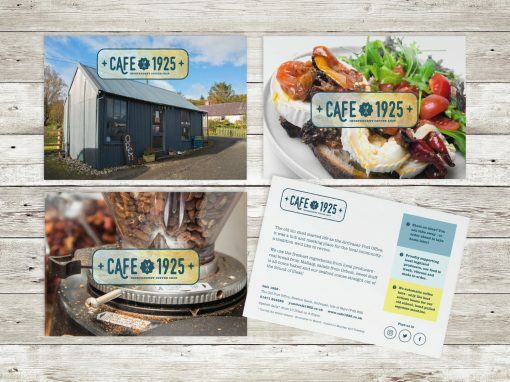 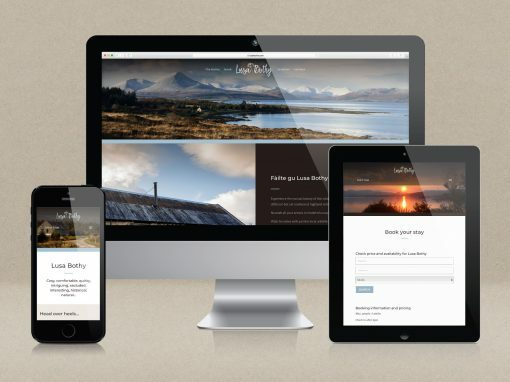 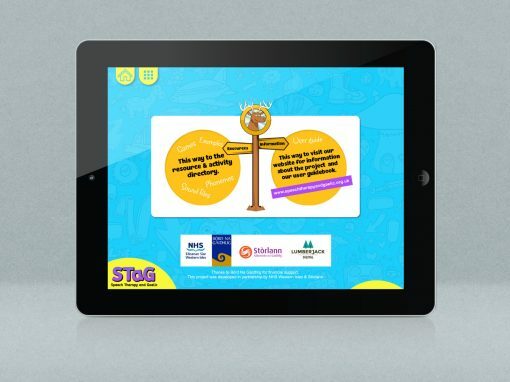 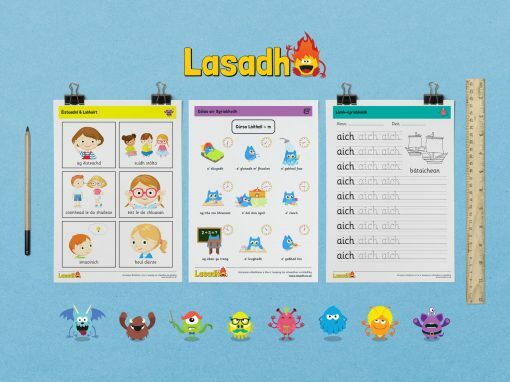 The camping is operated on behalf of the communities of Broadford & Strath by Strath Leisure Ltd, and they approached Lumberjack Digital to develop the capmping’s new brand, marketing materials and signage and, of course, their new website. 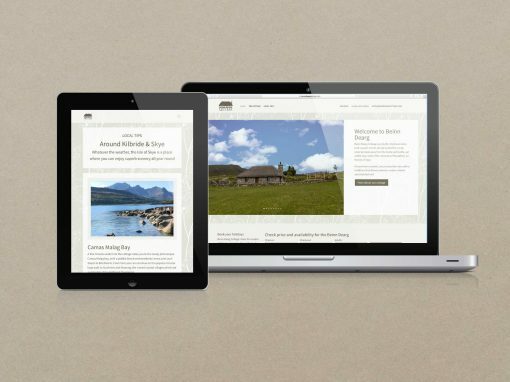 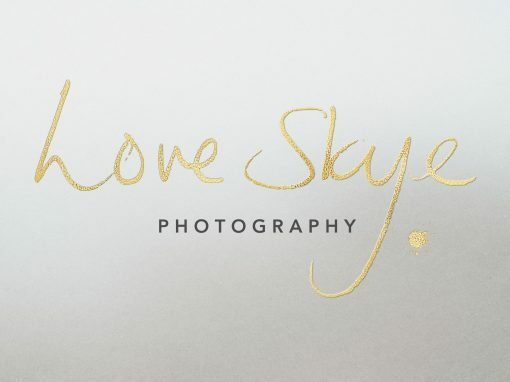 Working closely with the Camping Skye team, we developed a brand that represented the spirit and values of this new campsite, well appointed, fun, modern and welcoming. 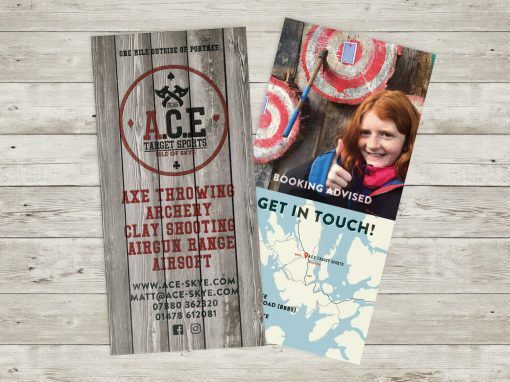 We made sure that all the forthcoming marketing materials, signs throughout the camping and promotional flyers, fulfilled the essence of this values as well as creating a tight visual identity. 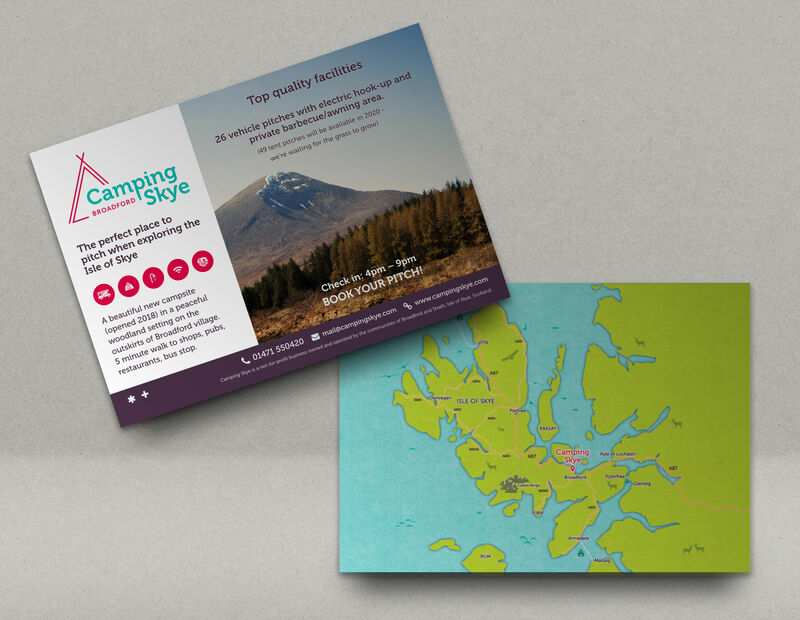 We even created a campsite map to be displayed in both the website and the visitor’s flyer. 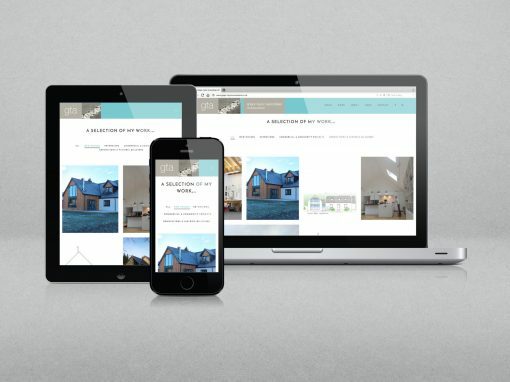 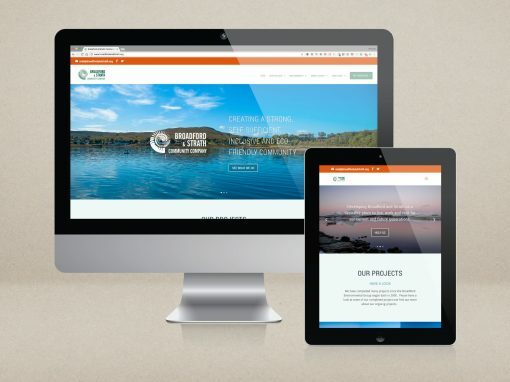 The website was developed within WordPress CMS to the latest standards and included features like a self-sufficient booking system and an interactive Google map, along with the usual forms, social media integration etc.